It has been announced that the 2018 Hunlock Series will have an international dimension. This will be the first time that an overseas team will play in the Series. 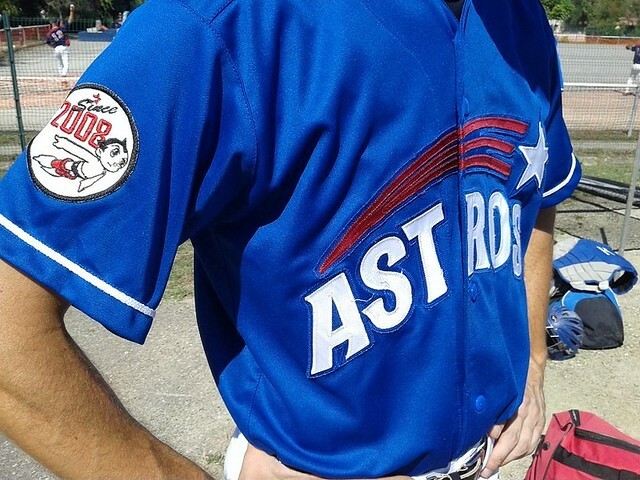 The Toulouse Astros will be making the trip from France to Grovehill Ballpark on 30 September. On that day they will face each of the Hunlock Series teams. They will not feature in the Hunlock Series league standings but the outcome of their games will count towards the record of the Hunlock Series teams, therefore their involvement could have a major impact on the league standings and the eventual winner. The Astros have played at various levels in France and internationally, but we have very little information about the challenge which they are likely to pose for their opponents. Over the years French clubs have ranked higher than British teams in the annual European club rankings, but we cannot use this as the basis for assessing the strength of the Toulouse Astros. There are numerous factors which could have an effect on this, such as whether their full squad will be travelling to Hertfordshire. Their trip to the UK is part of their 10-year anniversary celebrations. This will add a different dimension to the Hunlock Series, which could be compared to the introduction of Interleague games in the MLB schedule a few years ago. Does this mean that the managers of the Hunlock Series teams will opt not to use their aces in these international encounters knowing that games against direct opponents in the league standings carry greater value as a win against them is not only added to their win column, but adds a loss to the record of their rivals. We will have to wait and see how exactly this will unfold on 30 September. Existing Herts players are currently registering ahead of the Draft by simply updating their availability in the online Clubhouse. Just like last year, the Hunlock Series could provide a glimpse at new players who could be wearing the Herts jersey next season. New players and players from other clubs can also sign up by contacting Herts Baseball Club. There has already been interest from players from other clubs located in other regions of the United Kingdom and overseas. They are all welcome to sign up and play in these games. To be eligible for selection during the Draft, players must register and enter their availability details online by Friday, 14 September. If you miss this Draft deadline or the first one or two weeks of games, don’t worry. Players will still be eligible to play but would be added to teams as free agents. To be eligible to play in the Hunlock Series, players must be 14 years of age or above on 31 December 2018.